We offer extensive local knowledge and courtroom experience to our clients. We emphasize personal, close attention to all of our cases, whether we represent you as a claimant seeking recovery or a defendant protecting yourself against a claim. We understand that being on either side of a lawsuit can be a difficult and overwhelming experience. We will help you through that experience with both empathy and tenacity. Our expertise, dedication, and personal touch lead to the best results for our clients. We consistently obtain success for our clients at trial, in mediation, and, if necessary, at the Montana Supreme Court. We have expertise in many areas, including all types of accidents and injuries, insurance disputes, wrongful death, and defective products. Please call us for a personal meeting. Founded in 2005, the Drake Law Firm, P.C. is one of Western Montana's leading law firms providing a wide array of legal services: -Civil Litigation-Plaintiff and Defense -Insurance Defense -Personal Injury -Insurance Coverage -Bad Faith -Products Liability -Human Rights Commission Complaints-Plaintiff and Defense -Labor and Employment -Arbitration and Mediation -Business and Commercial -Construction -Conservatorships and Guardianships The Drake Law Firm PC, provides creative, ethical and effective solutions to our clients' legal problems. While we work to avoid the expense of unnecessary litigation through binding arbitration and aggressive mediation, we are also prepared to vigorously defend our clients against unfounded claims using all the experience, staff, and resources available to us. The Drake Law Firm PC, provides creative, ethical and effective solutions to our clients' legal problems. The law office of Drake Law will represent you auto accident legal matters. Trevor began his career with one of Montana's largest law firms where he worked as part of a team of lawyers representing large corporate clients in a variety of litigation. 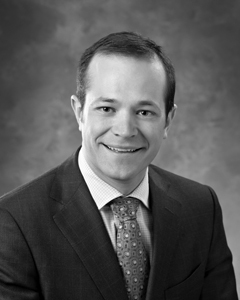 In 2008, attracted by the firm's smaller size and excellent trial reputation, Trevor joined the Drake Law Firm, where his practice continues to be focused on litigation. Trevor specifically handles disputes involving insurance, administrative law, civil rights, commercial litigation, personal injuries and professional negligence, and employment law, among others. Additionally, Trevor counsels clients on innovative risk management solutions. When he's not in the office Trevor enjoys skiing, travel, maintaining his fitness, and options investing. Patterson v. Verizon Wireless, 329 Mont. 79, 122 P.3d 1193 (2005) Successfully argued that wireless telecom provider was not required to pay seconded employee severance benefits under a severance plan after employees filed age discrimination claims. Kapphan v. Vincent, 354 Mont. 392, 222 P.3d 645 (2009) Achieved summary judgment based on Montana's recreational use statute for land owner in a premises liability lawsuit. In Re: Investigation of Montana Refining Company, Inc. (Fed. Trade Comm'n): Assisted client in responding to Federal Trade Commission subpoenas investigating pricing of gasoline in the pacific northwest. Slack v. Lewis and Clark County, et al. (Mont. 2010): Achieved a $569,000 jury verdict for a family harmed after unknowingly purchasing a property severely contaminated by methamphetamine and its precursor ingredients. Jason Wood v. Montana Department of Revenue 12/16/2011 Represented a state agency and achieved defense verdict in a case in which a high-ranking state government official claimed his termination violated the Americans with Disabilities Act, the Family and Medical Leave Act, and several state laws. The jury was persuaded by the trial argument that the termination was for legitimate job performance issues and returned a unanimous verdict in favor of the defense. Aguado v. Chase Manhattan Mortgage Corp. et al. (D. Mont.) Defended lender against Consumer Protection Act and fraud claims involving improper foreclosure of real estate liens. Hust v. Montana State Prison 5/31/2012 Successfully defended the Montana State Prison against age discrimination, retaliation, and wrongful discharge claims asserted by a former employee who was terminated for job performance issues and insubordinate behavior. A unanimous jury returned a verdict in favor of the prison. 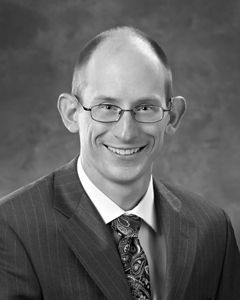 Michael joined the Drake Law Firm in 2009 after working as a Law Clerk for Justice Brian Morris of the Montana Supreme Court. Michael was attracted by the Drake Law Firm's reputation for quality, willingness to go to trial, and rarely matched success rate at trial. He appreciates the unique nature of the Drake Law Firm, including his ability as a member of a small firm to interact closely with clients, while still possessing the resources necessary to represent his clients at the highest level. 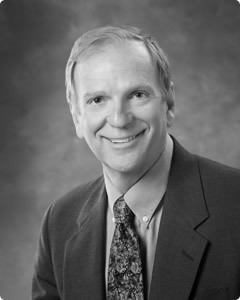 Since joining the firm, Michael has played a key role in numerous successful trial court and Montana Supreme Court cases. He thrives on immersing himself in his cases and discovering the key factual details and legal theories that lead to success for his clients. Away from work, Michael enjoys spending time with his wife and young children, mountain-biking and running, and exploring Montana's mountains and rivers. 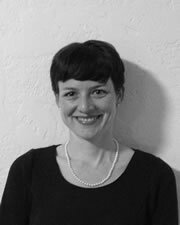 Amy joined the Drake Law Firm in 2013. After graduating at the top of her class from Stanford Law School, she served as a law clerk to the Honorable Lucy H. Koh of the Northern District of California. Amy has participated in the litigation of several cases before the United States Supreme Court. Before becoming an attorney, she worked in a neuroscience research lab, where she designed and ran studies using cutting-edge brain scanning technology, and served as an AmeriCorps VISTA volunteer, specializing in disaster planning and recovery. She was drawn to the Drake Law Firm by its excellent reputation, personal attention to clients, and willingness to go to trial when necessary to deliver the highest level of service. When she's not working, Amy enjoys running, yoga, reading classic novels, and spending time with her husband and two dogs. Counterfactual Contradictions: Interpretive Error in the Analysis of AEDPA, 65 Stan. L. Rev. 203 (2013). Insurmountable Obstacles: Structural Errors, Procedural Default, and Ineffective Assistance, 64 Stan. L. Rev. 727 (2012).